In celebration of European Languages Day 2015 all classes took part in European language themed activities on Friday, 25th September. In the foundation unit the children answered the register in French and enjoyed a French breakfast snack of croissants, brioche, pains au chocolat and chocolate milk. 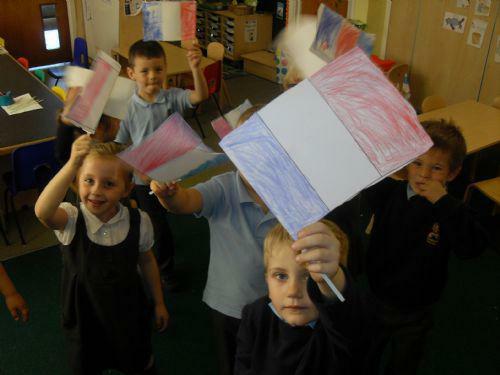 The year one and reception children in Little owls watched a short presentation about France, made French flags, sang French songs, counted to ten in French and took part in a French dance. They too enjoyed a French breakfast at snacktime.